Pregnancy can be a worrying time for women with Bipolar Disorder. The risk of experiencing Postpartum Psychosis or Postnatal Depression is higher than for women in the general population. In this section we draw together resources that could be useful during pregnancy or when considering pregnancy. For information about the chances of experiencing PP or PND if you have Bipolar Disorder, see our FAQ Who is most likely to get Postpartum Psychosis? For advice about factors that could further increase or decrease your own individual risk, see this article written by our team 'The management of Bipolar Disorder in the perinatal period & risk factors for postpartum relapse'. (Copies of any articles written by members of the APP team can be requested from the APP office). If you have Bipolar Disorder, accessing high quality advice before and during pregnancy is extremely important. Your GP or general psychiatrist should refer you to a specialist Perinatal Psychiatrist. A Perinatal Psychiatrist is someone who is specially trained and experienced in providing advice on the risks of pregnancy, how best to manage them, and on medications that can be used when planning pregnancy, during pregnancy, after having a baby, and whilst breastfeeding. The care you can expect to receive prior to and during pregnancy is outlined in the NICE Antenatal and Postnatal Mental Health Guidelines. These guidelines were published in 2007 and are currently being revised. The Royal College of Obstetricians and Gynaecologists also published a guide to good practice in 2011. Your GP or General Psychiatrist may have limited knowledge about best practice care for women with Bipolar Disorder in pregnancy, therefore you might have to guide them through what should happen. These guidelines represent advice on best practice; they are not enforceable in all health authorities. However, if they are not being followed in your local area, being armed with the guidelines provides you with ammunition to argue for a decent standard of care. Even if you have been well for many years, it makes sense to plan as if an episode of PP will happen. But remember also that many women who have Bipolar Disorder do not become ill postnatally - and some experience only mild mood symptoms. If you are well-prepared and symptoms do occur, the evidence suggests that rapid expert intervention can prevent a full-blown episode from occurring. APP can offer you a variety of support and information during this time. Follow these links to written information, academic articles, personal stories, video resources and find out about ways you can talk to other women who have faced similar issues. APP has produced a Bipolar Disorder, Pregnancy & Childbirth Guide, written in conjunction with the National Centre for Mental Health & the national charity, Bipolar UK. The guide contains information for women, partners & families & covers issues such as the importance of obtaining expert referral before and during pregnancy; decisions about taking medication; postnatal care plans; looking after yourself and managing your risk of illness. We have also produced an Insider Guide about planning pregnancy for anyone at high risk of Postpartum Psychosis. For information about recovery following a postnatal episode see our Insider Guide to Recovery. You can watch our Pregnancy and Bipolar Disorder Podcast and Module produced in conjunction with Cardiff University. APP Trustee and Chair of Bipolar UK, Clare Dolman, has written a personal account of her attempt to avoid having a second episode of PP, which is available here». The article details useful tips on staying well – such as reducing stress, managing sleep, limiting activities, paying attention to illness triggers, developing support networks and making the most of friends and family. In addition there are ideas for your personal care plan, such as asking for a postnatal room separated from other mothers and babies to help you get rest and sleep in the early postpartum period. APP has produced an Insider Guide to Postpartum Psychosis for Partners, which includes information about the early warning signs of Postpartum Psychosis, and what to do should symptoms develop. An article about early symptoms is available from the APP office and here you can find information on Early Symptoms of Postpartum Psychosis. On the positive side, a previous experience of Bipolar Disorder is likely to mean that you and your family are better equipped to identify early warning signs than those who develop PP ‘out of the blue’. Clare Dolman writes about this aspect of PP in her piece ‘Finding a Silver Lining’. Most Mother & Baby Units (MBU's) offer specialist preconception counseling for women with a Bipolar Disorder diagnosis for those who are thinking about having a baby. You can link to a map of the locations of UK Mother & Baby Units here». Areas of the country without MBU’s sometimes have specialist perinatal teams or individual Perinatal Psychiatrists. If your local GP or General Psychiatrist cannot locate one for you, you could post on our forum to ask one of APP’s volunteer Regional Representatives for advice about what might be available locally. Alternatively the Royal College of Psychiatrists can provide information about where specialist Perinatal Psychiatrists are located. APP hosts the Maternal Mental Health Alliance (MMHA) which is an organization campaigning to end the current postcode lottery in maternal mental health services. If you are unable to gain specialist referral in your area, and you can get to Cardiff University, your GP or Psychiatrist can refer you for an appointment with APP’s Chair, Professor Ian Jones. Ian is a Consultant Psychiatrist and an expert in the management of Bipolar Disorder in pregnancy and the postpartum period. He is able to offer preconception advice, medication review, and second opinion from his Cardiff University clinic. The service is free to you and free to your local health authority, but you will need a referral letter from your GP/mental health team. Further information about this service is available here». 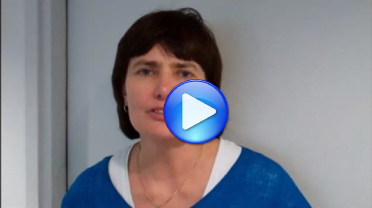 In this video Clare Dolman, Vice Chair, Bipolar UK and APP Trustee discusses the specific issues around pregnancy and childbirth for women with Bipolar Disorder. Please get in touch with us via email, our forum, or Facebook for more information or to tell us your story.